These five carcass designs are the foundation onto which you can create your perfect individual staircase be it traditional to ultramodern to internal to external – steel – timber – glass – stone. Call us, and you’re just one step from getting straight to what you want. Although considered the basic and most economical design, with modern inspiration it can be very adaptable and sleek. 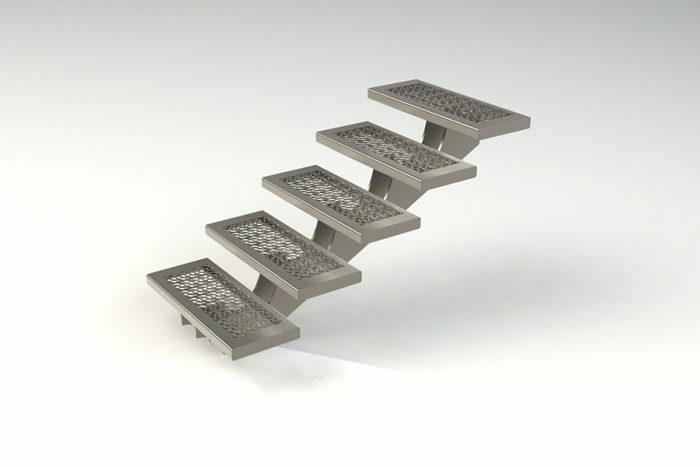 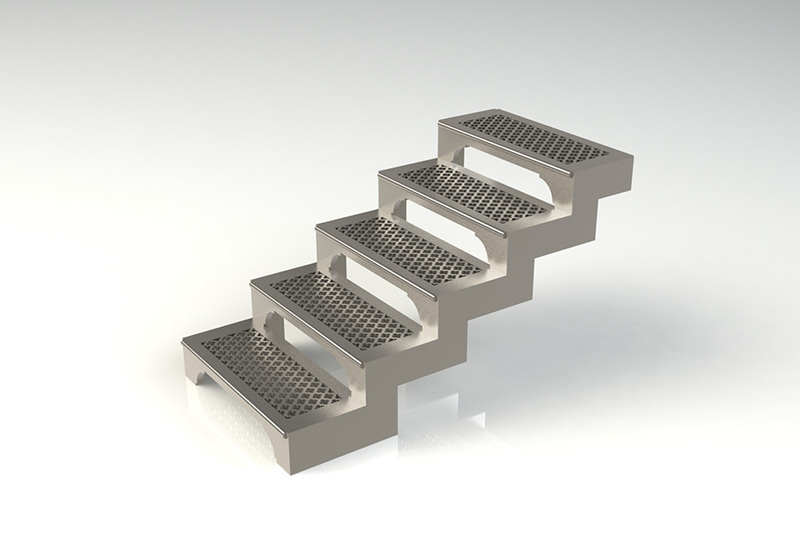 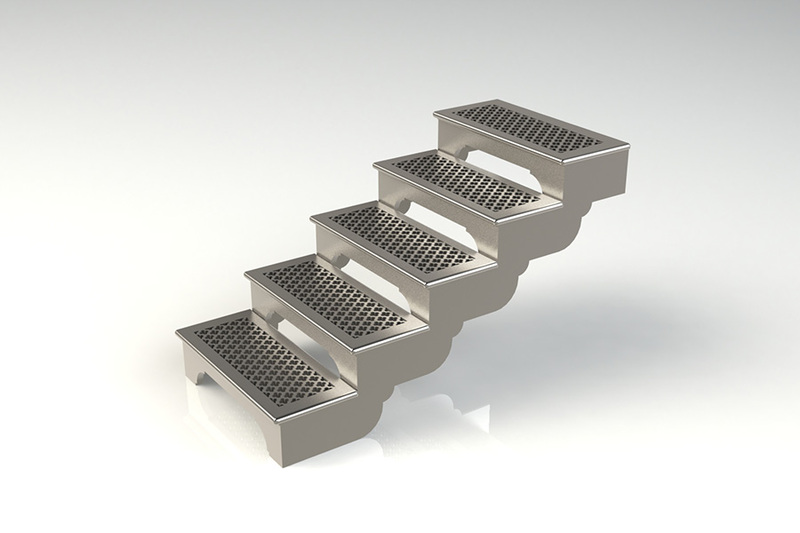 Accepting traditional cast treads or with modern concepts such as galvanised grid type treads to decorative laser cut treads, the design is suitable to both open and closed risers and usually fulfils the exterior. 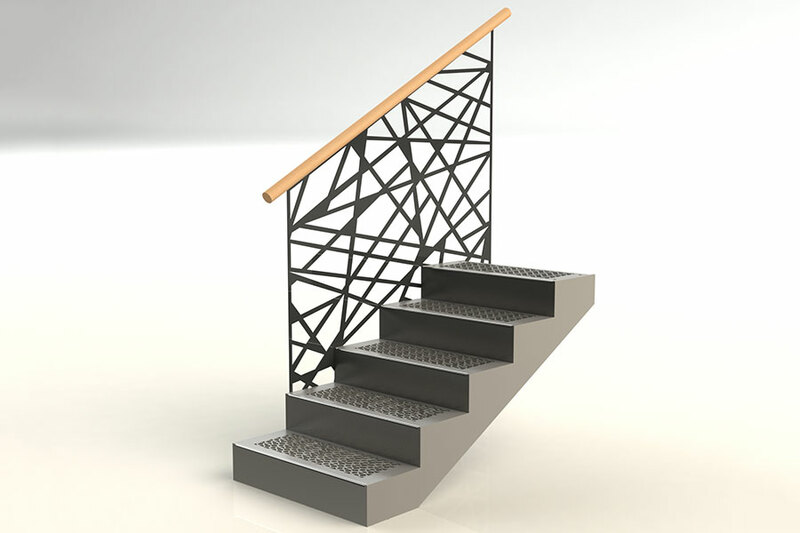 With modern laser cutting the string design can complement both the tradition and modern staircase, accepting traditional cast treads, timber and even glass. 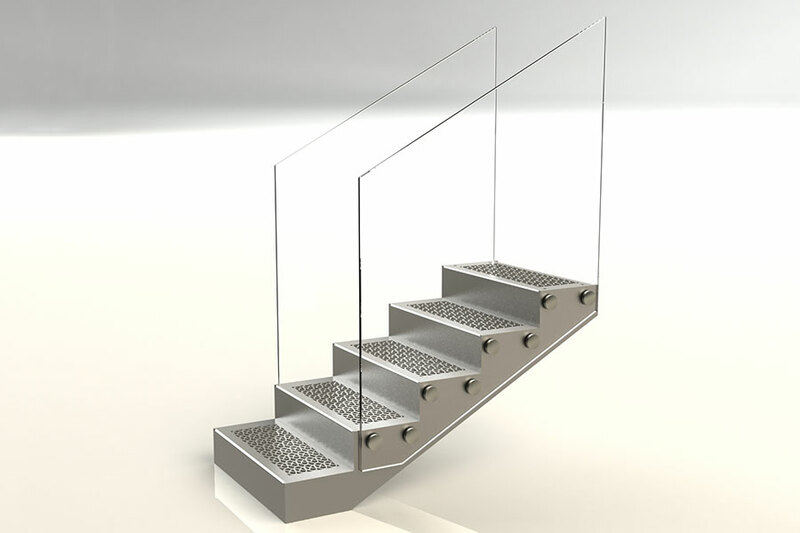 Laser cut balustrade is becoming the alternative to glass. 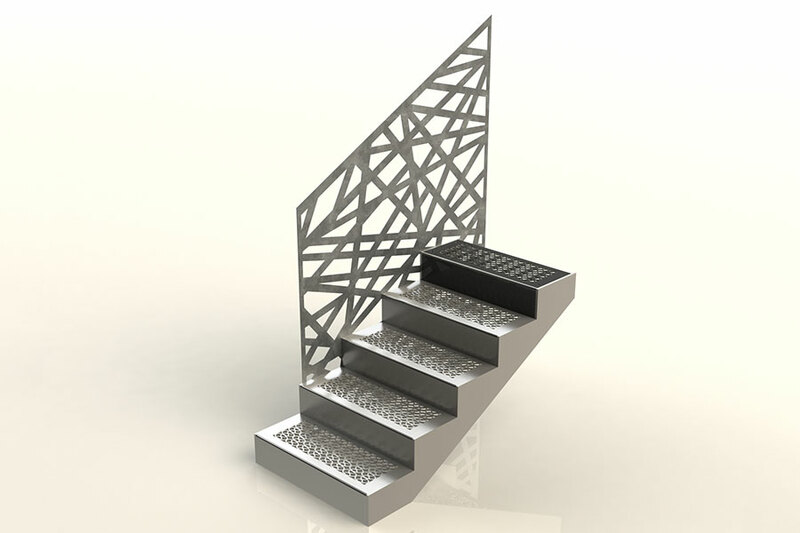 Our designer specialises in laser cut patterns ranging from floral to abstract designs. UK Creative Castings at your service. A modern variation on the cut sting with glass being the favourite balustrade, and treads normally timber. This design has all the flexibilities of the cut string. Simply a style variation for the cut string and zig zag string. 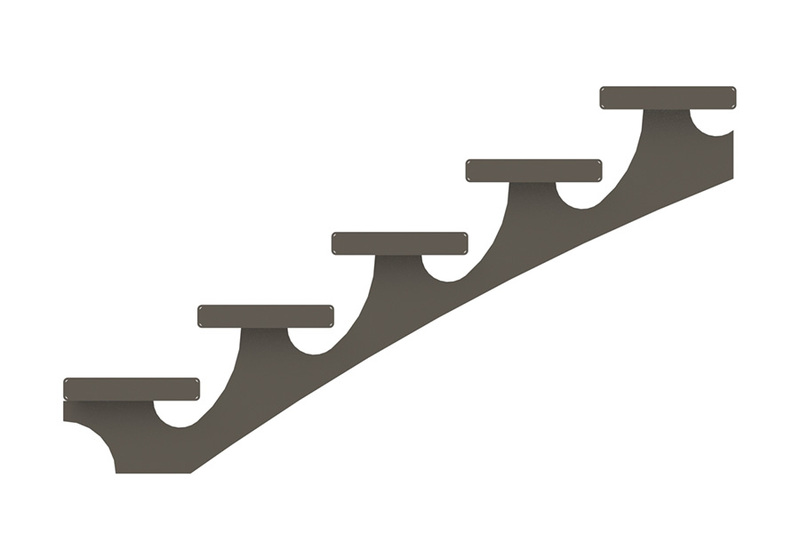 The strings position can be placed to suit individual’s preferences. Again, the design is flexible and accepts timber, glass or stone treads. 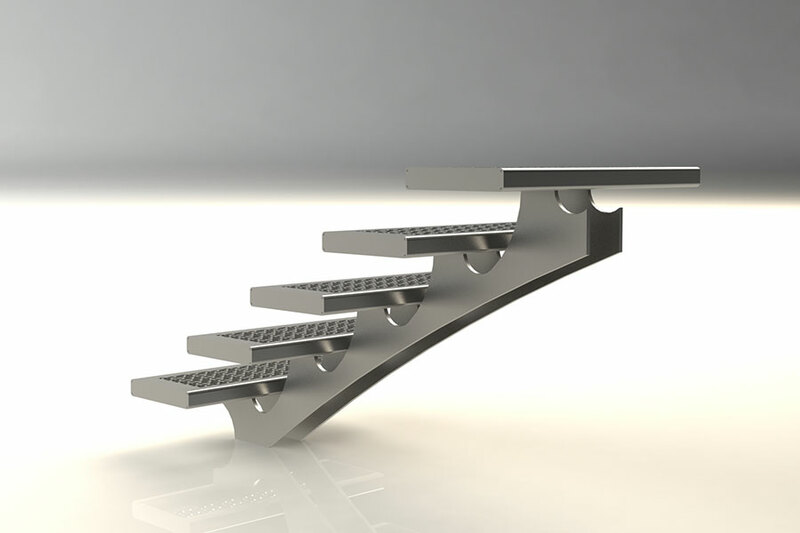 The design of the strings is dependent on the client’s choice. 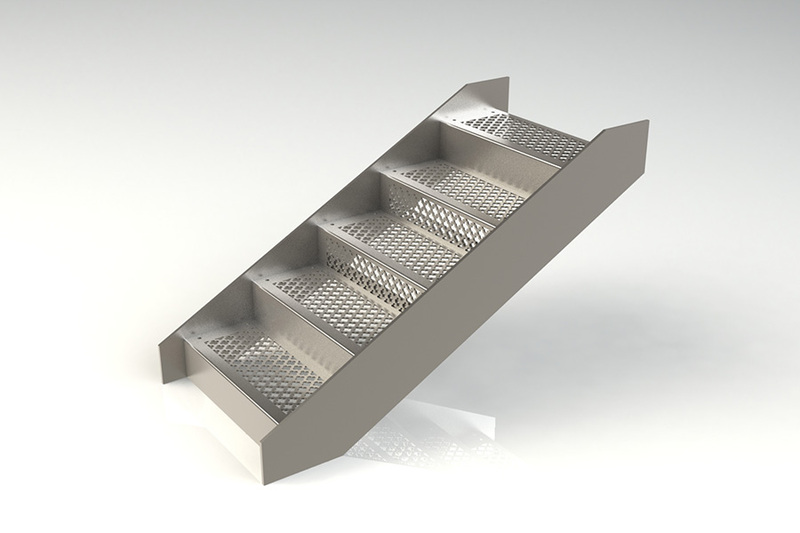 Initially a 200 x 100 box section was used, with modern laser cutting the centre spine can be designed to any elegant flowing profile, usually at little extra cost.